A lot of the recipes on this blog are here because I don’t want to lose them. I want to be able to make them again. 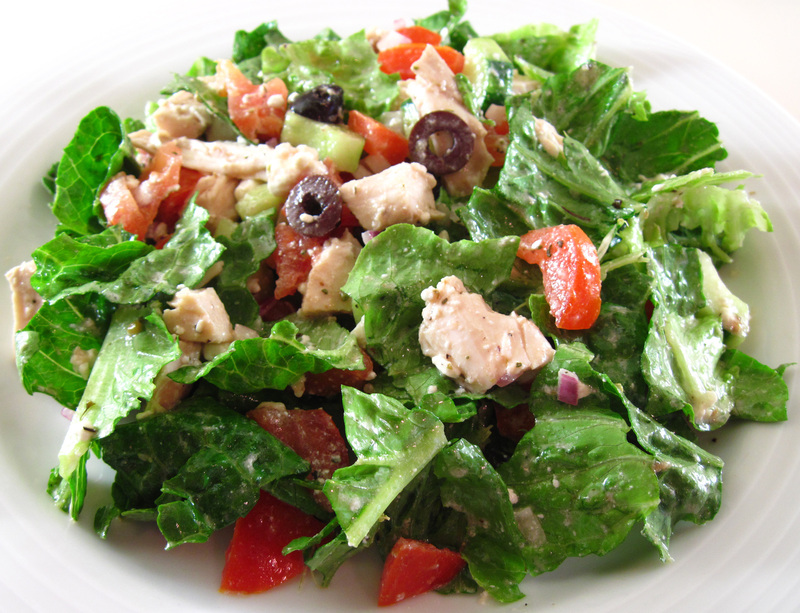 Chopped Greed Salad with Chicken is one of those recipes. I’ve made it twice in the last month. It’s not knock-your-socks-off amazing, but it’s a tasty way to use leftover roast chicken. It’s especially good for a warm summer evening. If it’s too hot to cook, you can pick up the ingredients and a rotisserie chicken at the supermarket for an easy no-heat dinner. The original recipe is from Eating Well magazine. Although tomatoes and cucumbers are classic ingredients in a Greek salad, the folks at Eating Well suggest substituting other vegetables you like. They mention broccoli and bell peppers. I think cauliflower and fresh corn kernels would be good, too. Chopped Greek Salad with Chicken is a terrific light dinner on its own. Keeping with the Greek theme, warmed pita bread and hummus would go well with the salad. 1. Whisk the vinegar, olive oil, dill or oregano, garlic powder, salt and pepper together in a large bowl. 2. 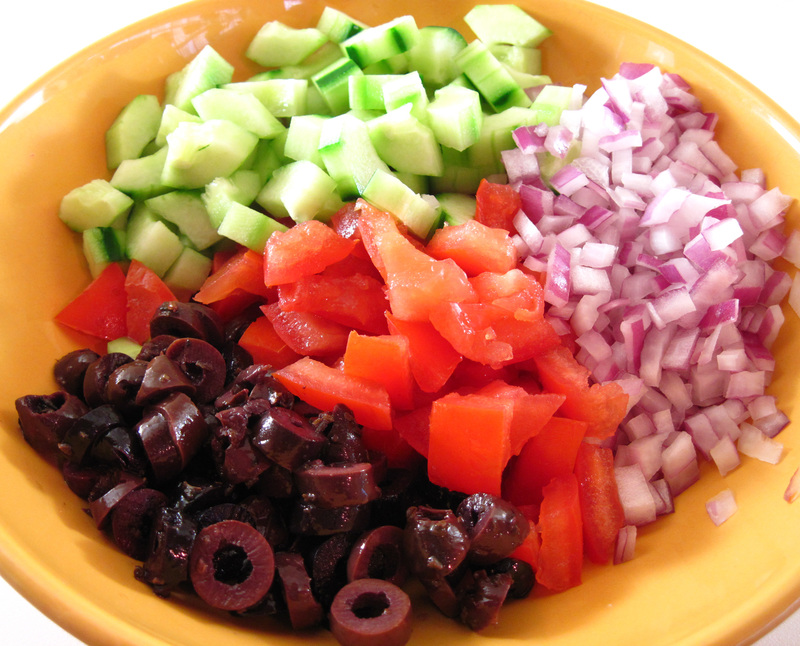 Add all of the salad ingredients to the bowl. 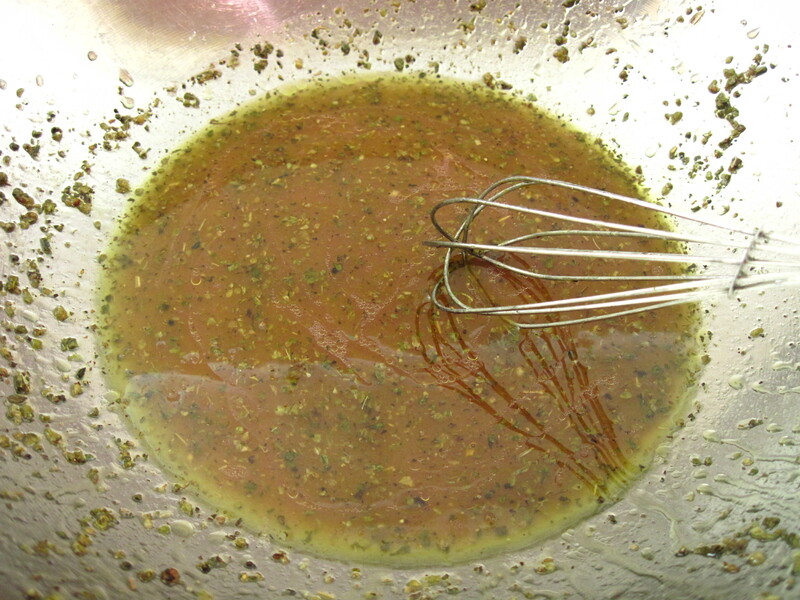 Toss well until the dressing is evenly distributed and serve. My very first comment on Pinterest! I substituted 1 Tbl. fresh pressed garlic for the powder and sauted a chicken breast, then cubed it. All else was as your recipe. My husband and I tnought this was absolutely the best greek salad we’ve ever eaten!! Thank you. I love your changes, Linda! This salad is good enough to cook some chicken for it. I normally use fresh garlic, but I wanted to follow the Eating Well recipe. It could only be better with fresh garlic, and I’ll do that next time. Thanks so much for letting me know how much you and your husband enjoyed it. I really appreciate your comment.